Greece is a country and region in South-East Europe, and the birthplace of much of western philosophy and civilization. From the eighth century BC, the Greeks were organised into various independent city-states, known as poleis (singular polis), which spanned the entire Mediterranean region and the Black Sea. Philip of Macedon united most of the Greek mainland in the fourth century BC, with his son Alexander the Great rapidly conquering much of the ancient world, spreading Greek culture and science from the eastern Mediterranean to India. This (geographical) cartegory covers the regions of Cental Greece, Crete, the Cyclades, Epirus, Euboea, the Peloponnese, and Thessaly. 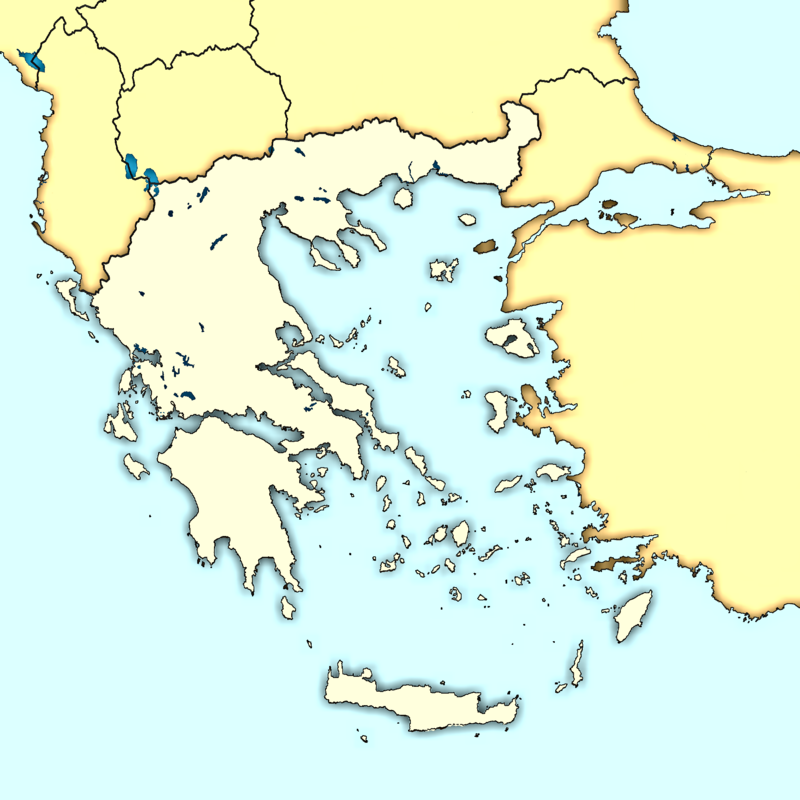 It is bordered to the east by Asia Minor, to the west by Italia, and to the north by the Balkans, including Macedonia and Thrace. Eighty percent of Greece consists of mountains or hills, making the country one of the most mountainous in Europe. Mount Olympus, the mythical abode of the Greek Gods, culminates at Mytikas peak 2,918 metres. Reverse: Square incuse with skew pattern. Obverse: Europa seated right in tree, lifting drapery; eagle standing to left. (44) Marcus Antonius 32 B.C. Obverse: M•ANT•IMP•TERT•COS•DESIG•ITER•ET•III•VIR•RPC - Jugate busts of Mark Antony and Octavia right. Reverse: M OPPIVS CAPITO PRO PR PRAEF CLASS F C - Galley right, below A. Reverse: legionary aquila between two standards, LEG X? Reverse: legionary aquila between two standards, LEG_II ? Obverse: Praetorian ship right, with scepter tied with fillet on prow; above, ANT AVG; below, III. VIR. R.P.C. (49) Melitaea Late 4th cent. Reverse: ΦΑΡ-ΚΑΔO, Athena standing right, holding spear and shield; all within incuse square. Ref: SGCV I 2758; BMC 34, 13. Ref: SNG Cop 99 ff. Ref: Kroll 640; SNG Copenhagen 455.